Known for his leftist columns in both The Independent and The Guardian, this prominent British journalist also contributed to such publications as Le Monde Diplomatique and The Sunday Mirror. In addition, he offered political commentary on the ITV, Sky News, and BBC television networks. He earned an advanced degree in United States history from University College, Oxford. 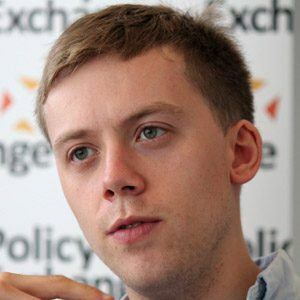 Before becoming a journalist, he worked as a lobbyist for trade unions and also conducted research for the British Labour Party. He wrote several politically-themed books, including Chavs: The Demonization of the Working Class and The Establishment and How They Get Away With It. Born in Sheffield, England, he grew up in Falkirk, Scotland and Greater Manchester, England. He later settled in London. He and Victoria Coren both penned weekly columns for The Guardian.